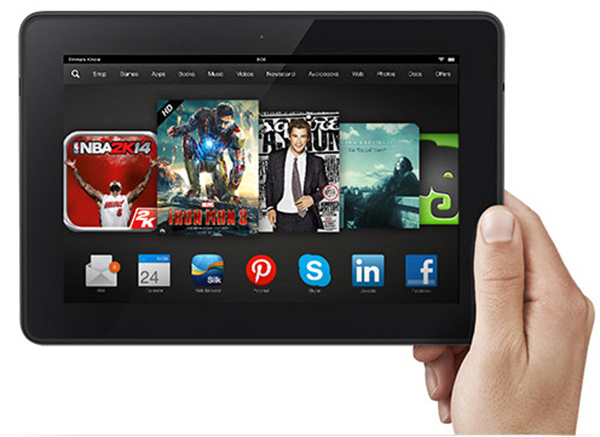 Apple and Amazon are two peas in a pod, regarding tablets. The companies don't sell just hardware but digital lifestyle around apps, music, movies, and more. Amazon has more to sell, and so more to lose, from its tablets. Prime the pump, Amazon! Let the subscription do more for you and your tablet customers by charging them less, which is what they pay now. That $20 could lead to many more dollars in sales from people buying into the entire retail digital lifestyle. My Amazon Prime increase email begins: "We are writing to provide you advance notice that the price of your Prime membership will be increasing. The annual rate will be $99 when your membership renews on June 19, 2014". Imagine if the text read: "We are writing to let you know that Prime membership pricing will be increasing to $99 per year. But as a loyal Kindle Fire HDX owner, your membership will remain $79 when it renews on June 19, 2014". Not that I might receive such an email. I am the primary Prime member, but Kindle Fire HDX is attached to my wife's Amazon account, which is connected to my Prime membership. We have some questions out to Amazon, trying to understand why some BetaNews writers received notices stating their price increases start next year. If by chance Amazon already rewards Kindle Fire owners -- and that explains the 2014 and 2015 discrepancies -- excellent! We think alike, Amazon. But first response suggests otherwise. That said, as an early Prime member, I'm glad to see my colleagues who are latecomers get Prime for another year at $79 but disappointed to be excluded. Amazon launched Prime in February 2005, I signed up in May 2007, according to my account info. My memory says longer, but whatever. For new members, you have until March 20 to lock in $79 for the upcoming year. When my renewal comes, if Amazon wants more money, I want more benefits. The online retailer generously lets members attach four accounts to one Prime. Great benefit, thank you. But only the main account can stream videos or borrow books. Extend that benefit to at least one other account holder. Doing so meshes with the idea of rewarding Kindle Fire owners. Give them more, Amazon. During January's quarterly earnings call, Amazon hinted at price increase between $20 and $40. That tip-off is excellent example how companies float trial balloons and the news media distributes them. Rumors rapidly spread about $119 as being the number. Wall Street welcomed the amount, while letting Amazon gauge customer response to either. Rumor-crazed, page view-obsessed bloggers and journalists helped the company to spread the word -- to float the numbers. That brings us to today and the relief some customers will feel about $99 not being as bad as $119. The comparison many people familiar with the higher number will make is $119 to $99, not $79 to $99. For example, I would have cancelled at $119 but might just keep Prime for $99 -- and you?